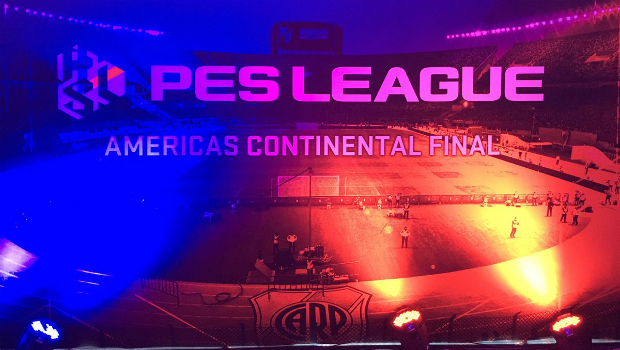 The PES League 2017 Final was played at the Monumental Last Friday, at a world-class event, the American Finals were played to qualify for the Pro Evolution Soccer World Championship in Cardiff. One of the most important e-sport events of the world, organized by Konami, took place last Friday at the Monumental Stadium. After a press conference held at the Paddock on Thursday, where the group draw was staged, the American Finals were played near the boxes area in the first floor of the Antonio Vespucio Liberti Stadium. The winners received four places at the Pro Evolution Soccer World Championship in Cardiff next June 2nd. There were four groups of five players each and the gamers came from Argentina, Brazil, Chile, Peru, Colombia, Venezuela and the US. It is worth mentioning that the European Finals were played at the Camp Nou Stadium, in Barcelona in April. This event, which included the participation of River idols Ariel Ortega and Fernando Cavenaghi together with our e-player @FranoPlay, was streamed in Spanish, English and Portuguese and had over a million users from all over the world on the edge of their seats. 1st Place: USD 20,000 for Luis Salazar, from Peru. 2nd Place: USD 10,000 for Rodrigo Barrera, from Chile. 4th Place: USD 4000 for Pablo Castiñeira, from Argentina.